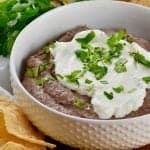 This Easy Black Bean Dip recipe comes together super fast in a food processor or blender, and is full of delicious flavor! 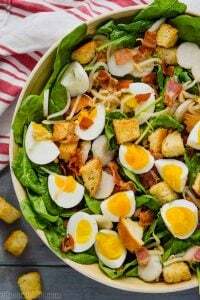 It has just a few simple ingredients and is delicious served warm or cold. 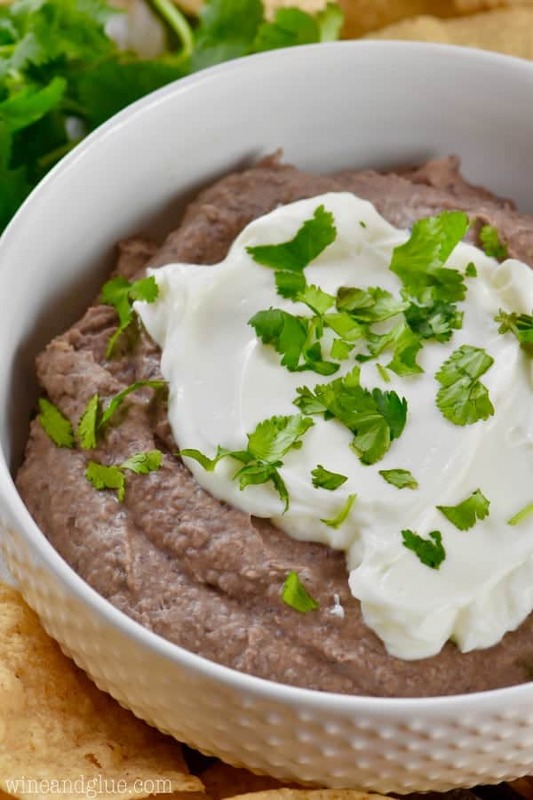 It is amazing with sour cream on top and is just slightly spicy. Serve it as part of your Taco Tuesday with these Instant Pot Chicken Tacos, the Best Margaritas, and some Pico de Gallo! I have a lot of weaknesses when it comes to food. Puppy chow, pasta and homemade spaghetti sauce, popcorn . . . . anything that is sweet and salty, cheesy, and delicious . . . But there is nothing that is quite my undoing like chips and dip. Any chips. Any dip. 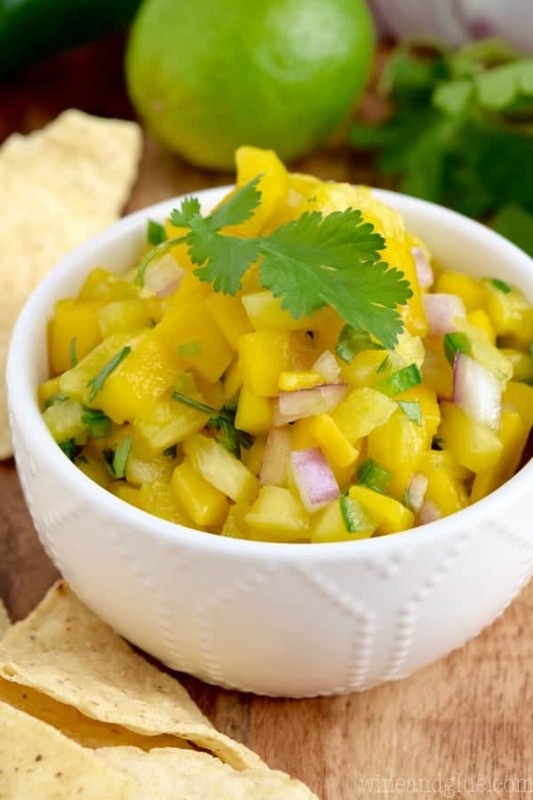 Like this pineapple mango salsa. 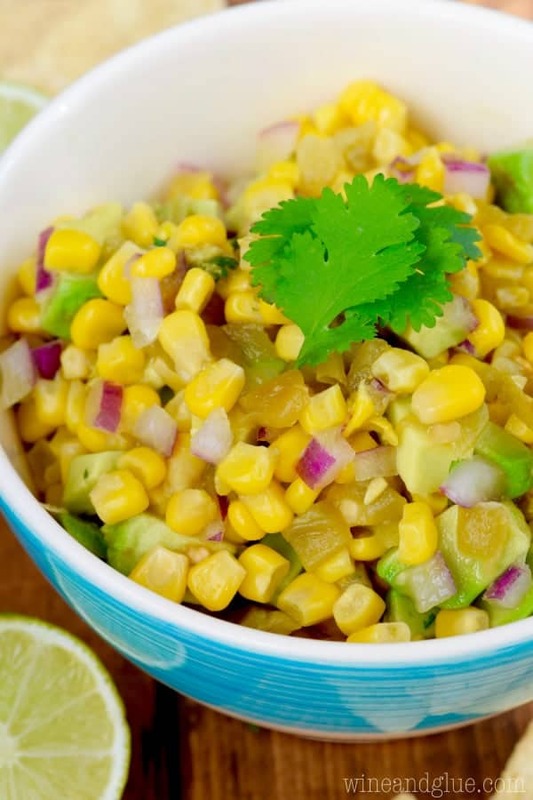 Or OMG, the best corn salsa. 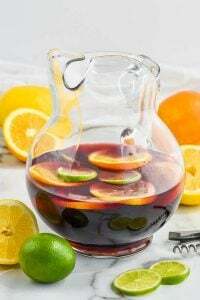 I could totally make chips, salsa, and wine my dinner . . . . it’s totally possible that I have done that. And now I have another dip to turn into dinner! 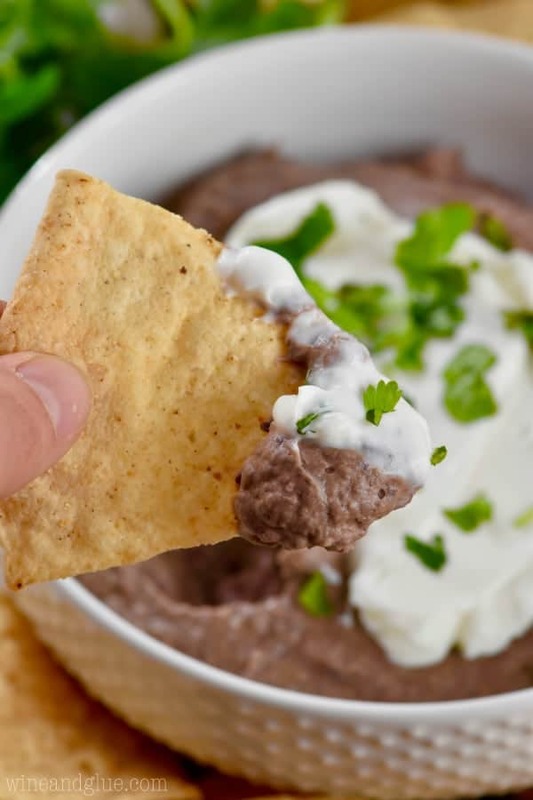 This Easy Black Bean Dip is just as good as the best salsa and SO crazy easy. 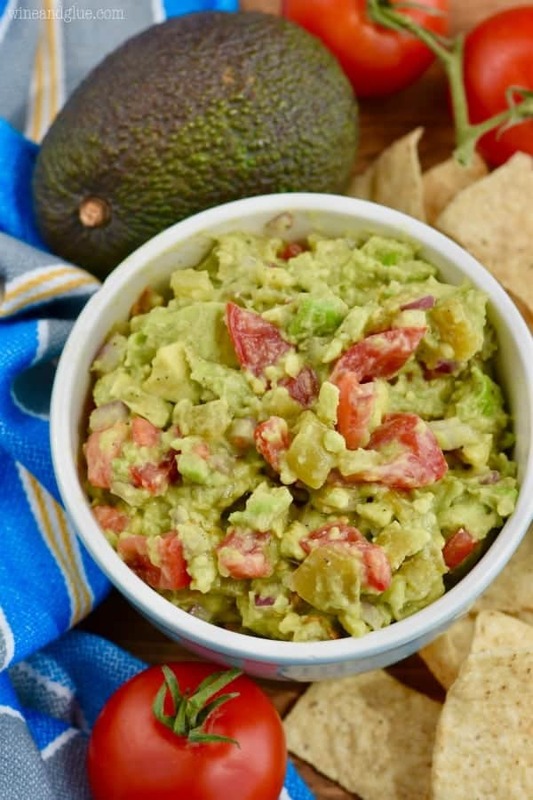 This is going to be my new go to dip when I need to bring something to a party or I need another appetizer to put out when I have guests over. Because it adds no time to the menu. And it’s amazing. It’s really just throwing all the of the ingredients in a blender or a food processor. That’s it. You could serve it cold right out of the food processor (that’s how I had it! 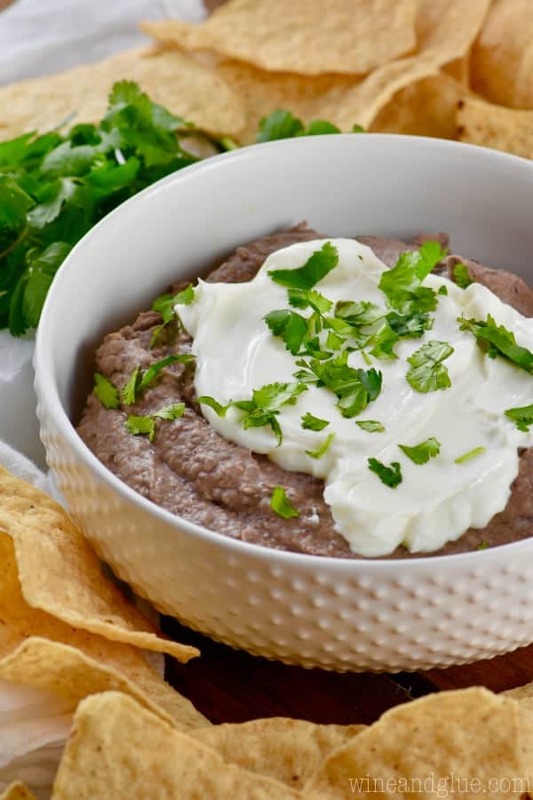 ), or you could stick it in the oven for a half hour and serve it as a warm black bean dip. I kept mine cold and it was perfection. I put some sour cream on top and some fresh cilantro, and it was totally delicious. 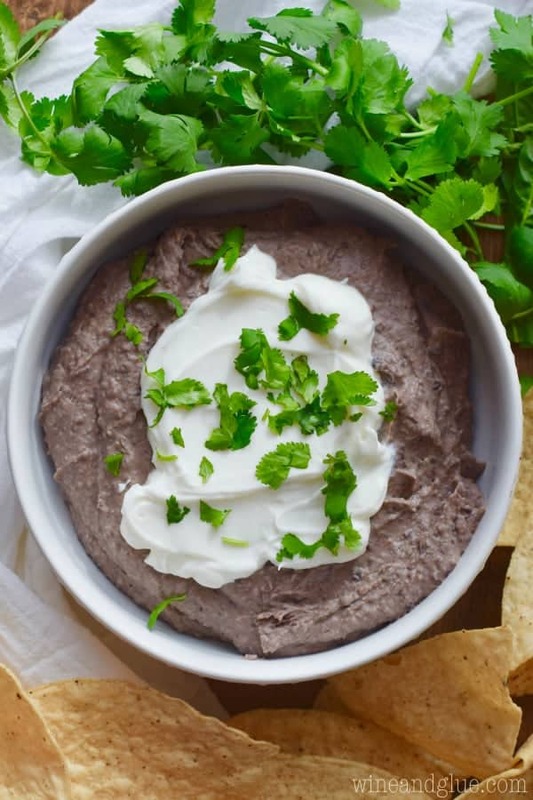 This Easy Black Bean Dip recipe comes together super fast in a food processor or blender, and is full of delicious flavor! 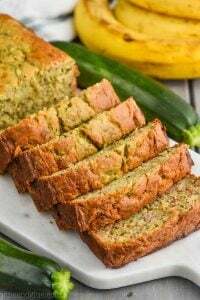 It has just a few simple ingredients and is delicious served warm or cold. It is amazing with sour cream on top and is just slightly spicy. In a blender or a food processor, mince the garlic. Add the black beans, the jalapeños, salt, pepper, cumin, and hot sauce. Blend until smooth. Add in the cream cheese and blend until completely combined. 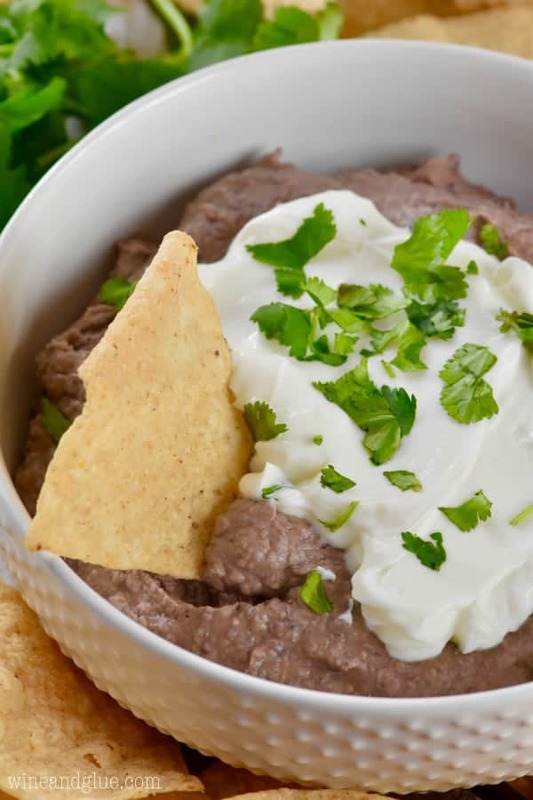 Transfer to a bowl, top with the sour cream and cilantro and serve with tortilla chips. YUM! 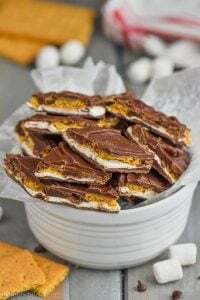 Can’t wait to try this and looks super easy to make. I hope you like it Nikki! I couldn’t get enough of it! I hope you like it Nikki! Awesome job really it’s the great article.